Many people think that they don’t qualify for financial aid, however the only way to determine one’s eligibility for many financial aid programs is by completing the Free Application for Federal Student Aid. The Federal Pell Grant Program is a need-based grant program for limited resource undergraduate and certain post baccalaureate students to help them attend attain a postsecondary education. Pell grants may be used at any one of approximately 5,400 participating postsecondary institutions. The North Carolina Education Lottery Scholarship (ELS) provides financial assistance to North Carolina resident students who demonstrate need. Applicants must attend eligible colleges and universities in North Carolina. 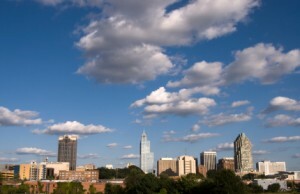 The scholarship was created by the 2005 North Carolina General Assembly. The grant amount per student varies. Applicants must complete a Free Application for Federal Student Aid. The student assistance grant is offered by the North Carolina State Education Assistance Authority through College Foundation Inc. The grant offers financial assistance to needy North Carolina resident students attending eligible colleges and universities located within the state of North Carolina. To determine if one is eligible for the award a FAFSA or Free Application for Federal Student Aid must be completed. The State Employees’ Credit Union Foundation offers scholarships up to $10,000 scholarships to eligible public service employees and their family members. The scholarship can cover eight semesters at a four year college or university. The State Employees Credit Union Foundation also offer a scholarship valued at $5,000 over four consecutive semesters for students who will attend a community college in North Carolina. The “Crib to College” scholarship is offered by the Crumley and Associates law firm. The requirements for this scholarship are a 3.0 or above grade point average and enrollment in an accredited institution. “Crib to College” scholars can attend an accredited community college, college, technical school, or university. Five recipients are chosen for the $1000 scholarship and each recipient is also awarded a laptop computer. The North Carolina 4-H Development fund scholarships are valued at $500 to $2500. These scholarships may be renewable. To qualify for one of these scholarships a student must enroll as an undergraduate in a North Carolina institution of higher learning, which includes community colleges, junior colleges or universities. Applicants must also have participated actively in a 4-H Club and have been recognized for outstanding achievements in 4-H. Applicants should also have demonstrated the ability to perform academically at the college level, including excellent academic achievement in high school and on SAT tests. The 4-H development fund scholarships are diverse with some being restricted to students living in a certain area of the state and others being need-based. More information on these scholarships can be obtained by contacting the 4-H Program at N.C. State University. Many of the financial aid opportunities available to high school graduates are also open to adults who want to earn an undergraduate degree. Adult students should contact their institution of interest to learn about financial aid opportunities. The State employees association of North Carolina offers scholarships to adult members of the association as well as their family members. Needs based and merit scholarships are offered for employees and family members to attend trade schools, technical schools, community colleges, or four year colleges and universities. This Nursing Student Education Scholarship Loan program was initiated to help meet the need for practicing nurses in North Carolina. Financial aid offices at the nursing student’s college of choice handle the awards. Awards range from $3,000 to $5,000. The maximum awards for those in Associate Degree Nursing and Licensed Practical Nursing Programs is $3,000. Those enrolled in baccalaureate degree programs can receive up to $5,000. Those educational programs that provide education to prepare students to become licensed as an LPN (Licensed Practical Nurse) or RN (Registered Nurse) are. Applicants must be demonstrate financial need and academic achievement and must meet North Caroling residency requirements for tuition purposes. Students can repay the loan through seven years of service as a Nurse in North Carolina or they may repay the loan in cash in ten years with a 10% interest rate. A dental scholarship loan programs are also offered for students accepted to UNC School of Dentistry who have financial needs. Based on available funding, the scholarship includes an annual stipend of $5,000 per year, tuition, fees, medical insurance, a laptop computer and dental equipment. Individual scholarship-loans may be prorated based on the availability of funds. Board of Governors medical scholarship program is funded by the N.C. General Assembly. To be eligible a student must have been accepted for admission to a school of medicine at one N.C. schools: Duke University, East Carolina University the University of North Carolina at Chapel Hill or Wake Forest University. Applicants must be North Carolina residents for tuition purposes and have financial need. They must also declare intent to practice medicine in N.C. In almost every county in North Carolina, there are civic groups, community organizations, alumni groups, sororities, and fraternal organizations that offer merit and need-based scholarships. Such scholarships can range from a few hundred dollars to several thousand dollars. Some are renewable. School guidance offices will have information on many of these scholarships. It is important that potential applicants for such scholarships watch for announcements in their local newspapers because often that is where the information about such scholarships is announced. 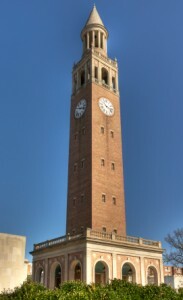 The Robertson scholars program provides a full scholarship for students who study at both the University of North Carolina at Chapel Hill and Duke University. Students apply for the scholarship through the university (either UNC or Duke) that they plan to attend. The Morehead-Cain is a prestigious four year scholarship awarded by the University of North Carolina at Chapel Hill. Expenses covered by the Morehead-Cain Scholarship include tuition, books, room and board, a laptop computer, and four summer experiences which are part of the Morehead-Cain’s Summer Enrichment Program. To qualify for the Morehead-Cain scholarship students must demonstrate excellence in academics and extracurricular activities. They can be nominated or endorsed by their schools or they may nominate themselves. The scholarship also includes the full cost of education, related expenses, and enrichment activities. You must either be endorsed by your high school or you must self-endorse in order to access the Park Scholarships information on the NC State Undergraduate Admissions application. Students who have an A average and higher than average SAT scores have the best chance to win this scholarship. Applicants must be citizens of the United States and applying for admission as a freshman who will be working toward a bachelor’s degree. Every college or university has unique scholarship and financial aid opportunities that may not be well-known. There are scholarships provided by alumni, sororities and fraternities, departmental scholarships and others. It is important to learn about every opportunity by contacting your college’s financial aid office. The Federal Work Study Program is available to North Carolinians. This program allows eligible students to earn money through working part-time jobs on campus. Eligibility is determined by the Expected Family Contribution on the Free Application for Federal Student Aid. The Federal Stafford Loan is a popular choice in the student education loan program due to it’s of its low interest rate and wide availability. Stafford loans may be subsidized or unsubsidized for students who demonstrate financial need. PLUS loans are low-interest federally insured loans. Parents with good credit can borrow PLUS loan funds to cover the cost of their children’s college expenses. Graduate students can also apply for PLUS loans. These are just a few of the many resources available as part of North Carolina’s Scholarships and Grants programs. I am writing to inquire about if I could receive some help in paying for school. I have been enrolled at Miller-Motte College taking medical assisting I have only three more classes to take before I could receive my degree. However I hit a road block because I have a balance on my account which I do not have the means to pay at this present time. I would be extremely thankful if I could receive some help or some guidance in the right direction. I am extremely heartbroken that I am no longer in school. i am currently enrolled at Mt.Olive College and work there Partime at just above minium wage I as a 15year employee with the state of NC I decided to go back to scho to try to beter provide for my family and in need of more funding I am a single parent wit FULL custady of 2 girls age 17 and 9 doing the best I can Please help me!!!! Hi my name is Carrie Griffith I am 43 year old widow with a 10 year old child going to College. I am needed additional assistance to make my goals a reality. I am attending a Online College. I see most of these are for schools in NC. I am needing approx. 9500.00 and is payable directly to school. Bachelor of science in Computer Technology with emphasis on cloud technology. Please help my dream become a reality Thank you. Many of the grants listed above are only for students from very low income families. Unfortunately North Carolina lacks grants for students from lower middle class families. I was looking for a laptop grant or scholarship like the one offered to UNC students but came up short. Please help. Thank you.